X80R: Chassis kit for Ducati 4 valves 1098/1198/848 engines. 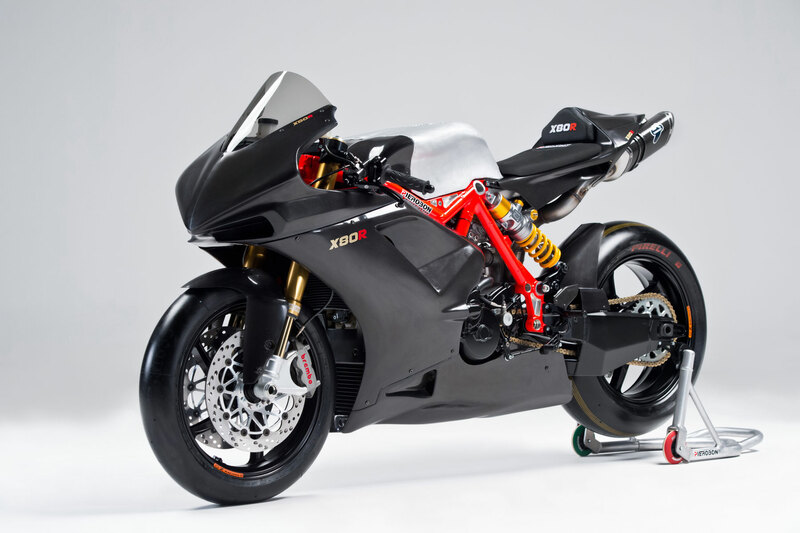 X80R is a chassis kit designed to accept Ducati 4 valves 1098/1198/848 engines. What we offer you is the possibility to have your own bike with a chassis derived from our extensive experience in the racing scene. 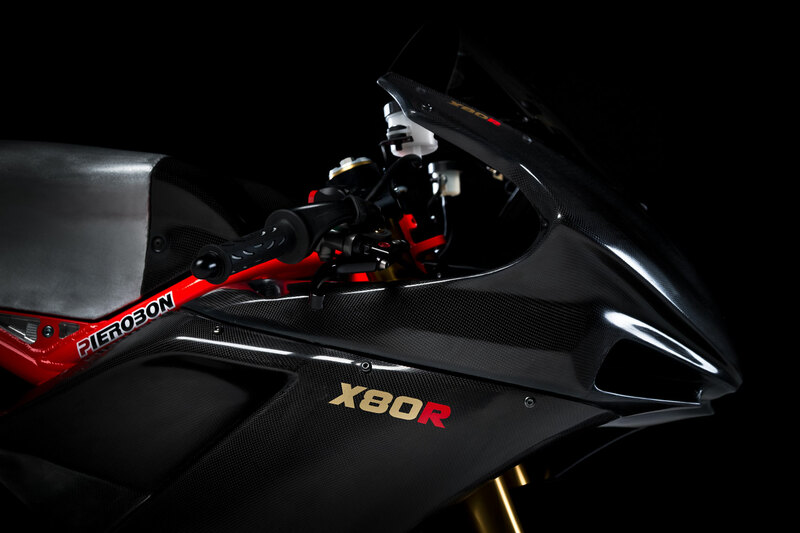 X 80 R means “For the 80th anniversary of Riccardo”. The motorcycle is in honor of the founder, Riccardo Pierobon (born in 1934). 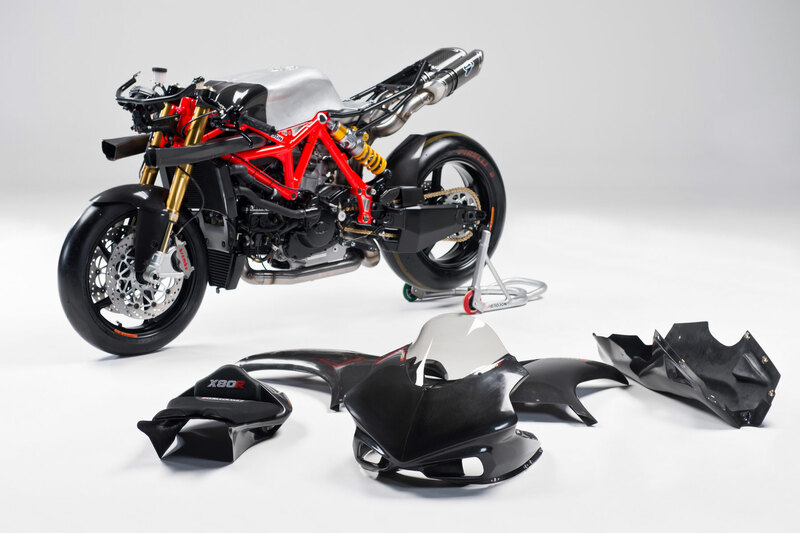 The kit is studied to build a Race motorcycle, replacing the orginal parts of a Ducati 1198/1098/848 bike. 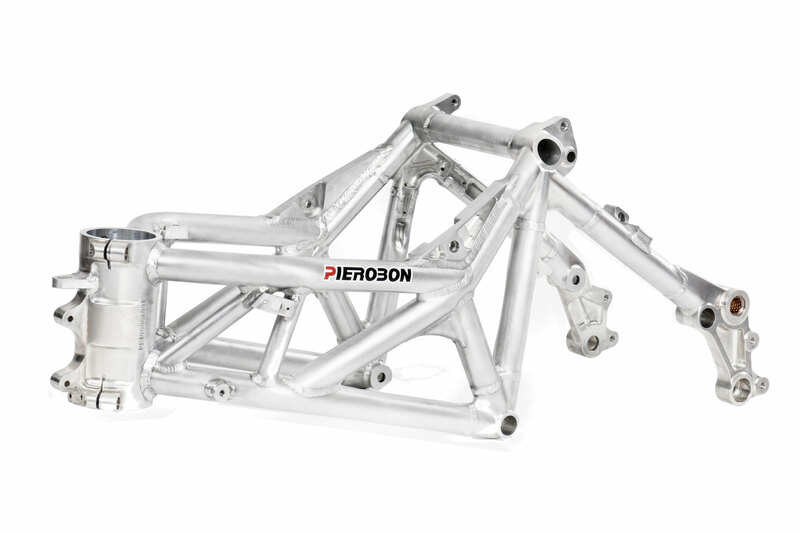 Discover the needed comonents to build your Pierobon X80R. The main part of the kit is the tubular trellis frame made out of EN AW-7020 aluminium alloy, which weighs only 7,35 kg. The frame is a combination of technologies and experience gained working closely with factory teams in World Superbikes and MotoGP. One of the significant features, which makes an important contribution to the X80R’s remarkable handling agility and stability, is its box section double-sided swingarm. It has been developed following the latest technological trends, the bracing having moved from the top to underneath the swingarm. The form of the fuel tank is rigorously thought out to give the maximum comfort and allow optimized riding position. To enhance the overall handling qualities, a part of the tank extends down and toward the back of the bike. Light and functional, it’s available in two version: for standard and Superbike instrumentation. With an accurate design, the rear subframe is thought to mount the original and many aftermarket exhaust systems of Ducati 1198/1098/848. We decided to use Ohlins TTX36 rear shock absorber, the best performance in the commerce, and we decided to mount a rocker to manage better its operation. 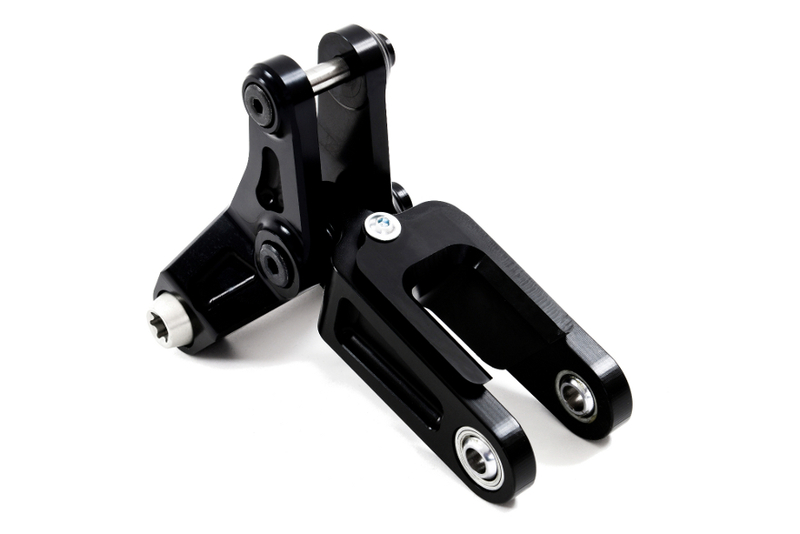 The footpegs kit includes machined footrests, realized in aluminium alloy, available in different versions based on the rider’s requests. The bodywork, available in fiberglass and carbon fiber, is designed to optimize aerodynamic penetration. The front section has been developed to convey efficiently the flow of air into the air ducts and radiators. 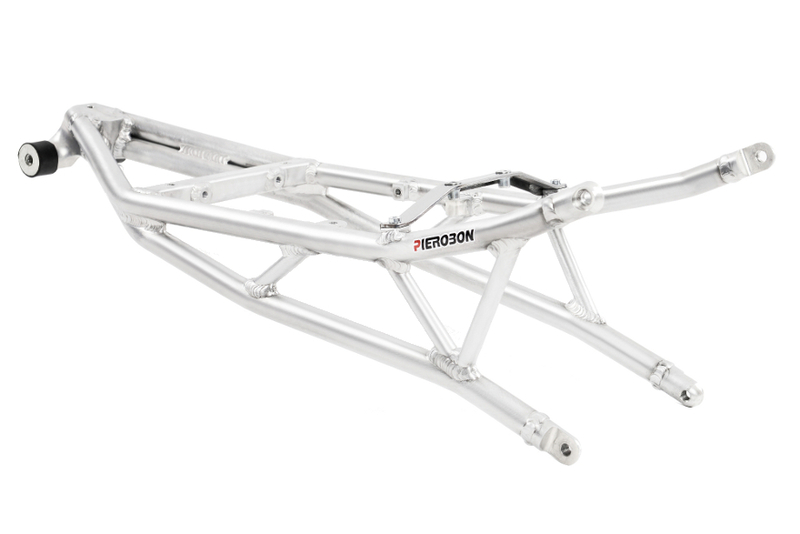 FRAME Tubular aluminium EN AW-7020 trellis, weight 7,35 kg. 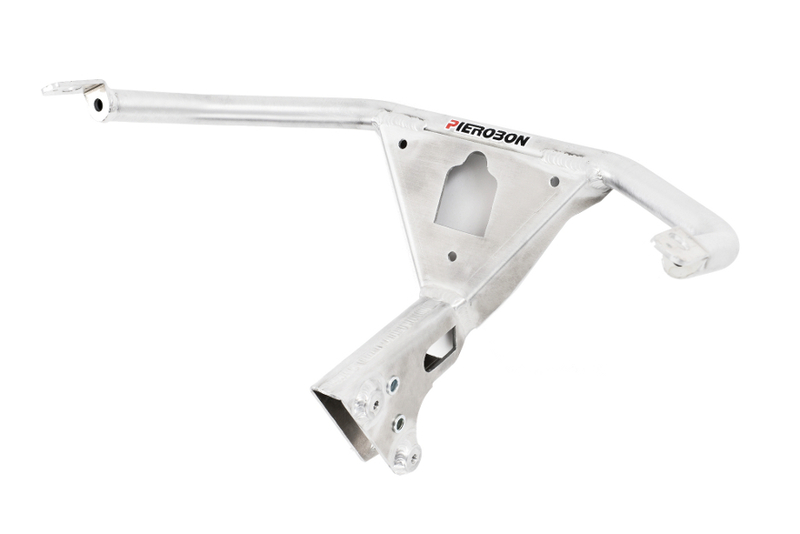 SWING ARM Box -section swing arm in aluminium EN AW-7020, weight 5,5 kg, derived from MotoGp. Chain adjuster kit made in aluminium EN AW-6082. 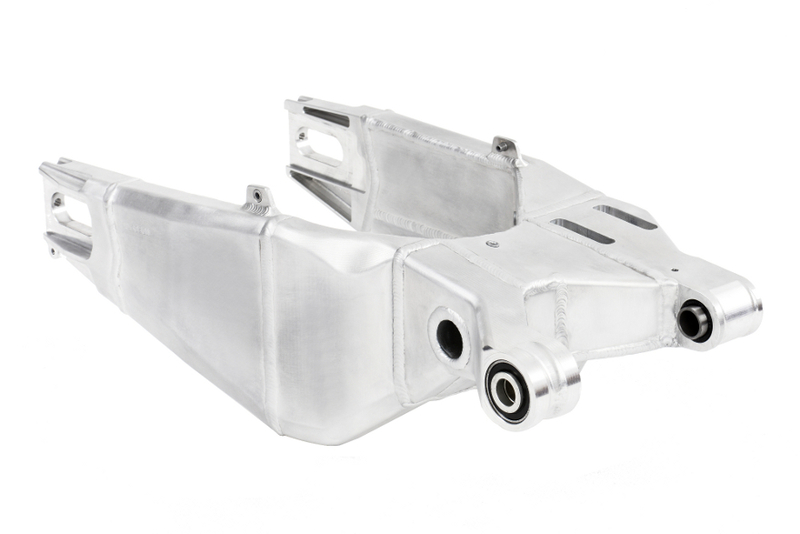 FRONT SUB FRAME In aluminium EN AW-6082, for 848/1098/1198 instrumentation and headlight. Weight 0,39kg. REAR SUB FRAME In aluminium EN AW-7020. Weight 1,34 kg. 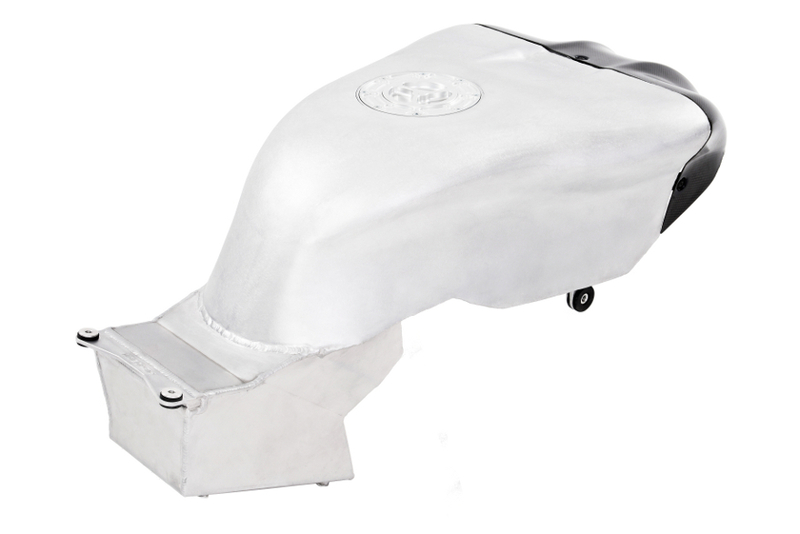 FUEL TANK Hand made, in aluminum alloy Peralluman 450 (EN AW-5083) H111. Weight 4,16 kg, inlcuding fuel cap e pump kit. Capacity 16,5L. PUMP KIT Ducati 848 pump kit. EXHAUST SYSTEM Stainless steel exhuast pipes and carbon fiber silencers.”2-1-2″ system with lambda probes. 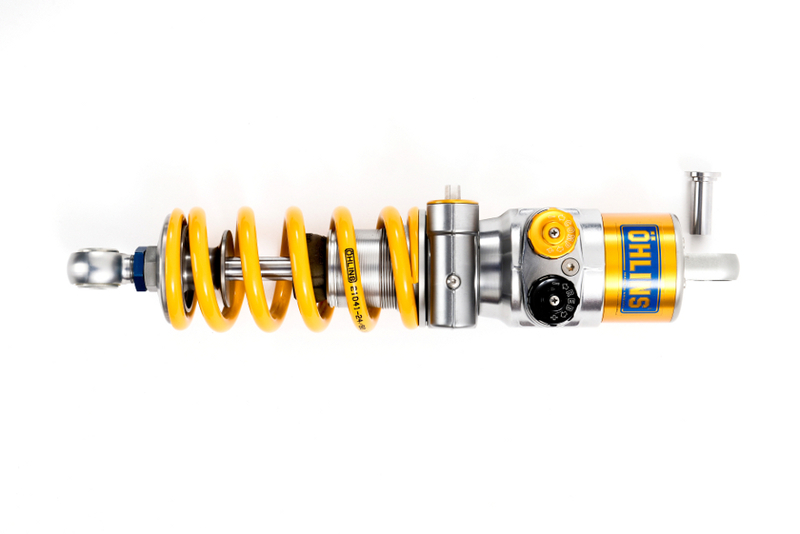 FRONT SUSPENSION Ohlins FG RT 211 Racing L715 upside-down fully adjustable lightweight fork with radial caliper support. 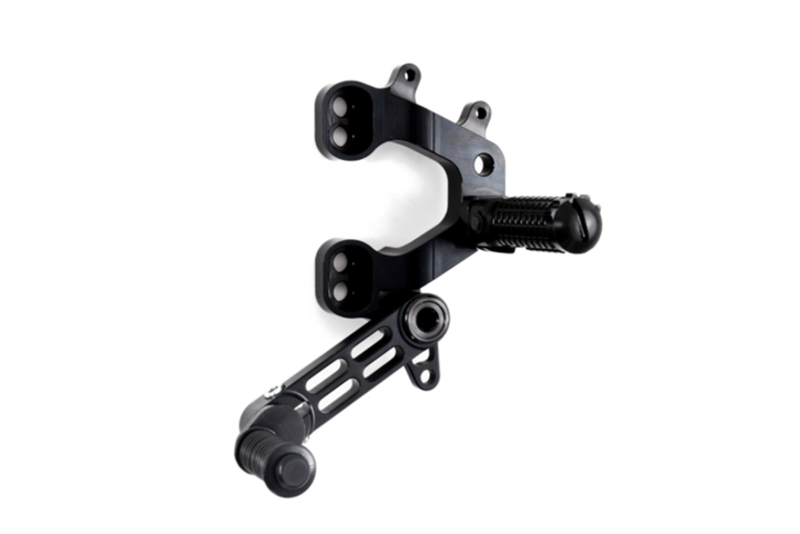 REAR SUSPENSION Progressive cantilever linkage with fully adjustable Öhlins TTX36IL monoshock. TRIPLE CLAMP Pierobon triple clamp in aluminium EN AW-6082. Weight 1,34 kg. FRONT WHEEL OZ in aluminium alloy 5 spoke 3,50 x 17. REAR WHEEL OZ in aluminium alloy 5 spoke 5,50 x 17. FRONT TYRE Pirelli Diablo Supercorsa 120/70 ZR 17. REAR TYRE Pirelli Diablo Supercorsa 180/55 ZR 17. FRONT BRAKE 2x TK 320 mm floating discs, BREMBO twin monobloc calipers four pistons. BREMBO RCS 19 brake pump and lever. BREMBO RCS 19 clutch pump and lever. AIRBOX Ducati 848 airbox with Ducati Performance snorkel in carbon fiber. 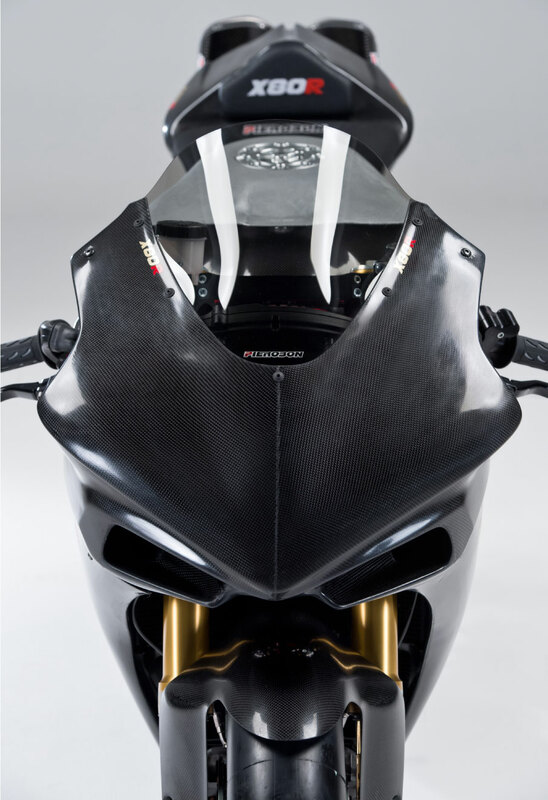 BODYWORK Carbon fiber fairing kit. Carefully designed for aerodynamic efficiency. The front section has been developed to convey efficiently the flow of air into the air ducts and radiators. BODYWORK Transparent plexiglass. Made of 3 mm thick PMMA cast thermoformed acrylic. ELECTRIC SYSTEM Ducati 848 wire cable system and digital instrumentation. Swing arm, front and rear sub frame: NERO BURN OUT.